Coinvest will be a single destination for users to learn, invest, and spend cryptocurrencies. The Coinvest ecosystem (built by Coinvest LLC, the parent company of Coinvest Labs LLC's, together "Coinvest"), will consist of a wallet and investment trading platform to handle all of your cryptocurrency investment needs. The Coinvest trading platform will enable anyone to easily invest in hundreds of different cryptonized assets and indexes using only one wallet and one coin. The Coinvest Labs investment process will be managed by smart contracts which will be the custodian of the network. User invested funds will be held by the smart contract until withdrawn by the user. Third-parties, including Coinvest, NEVER have access to invested funds, including the reserve pool that collateralize and back all investments traded in the network. Once an asset is sold from a user’s portfolio, COIN will be returned to a user's wallet and can be spent directly using our built-in debit card account. Since the invention of blockchain technology, a new asset class has emerged in cryptocurrencies. Built on the blockchain technology, these digital currencies offer the promise of reinventing the real economy, as their decentralized nature, better security, and faster processing are vast improvements over traditional financial systems. Unfortunately, these investment opportunities are largely limited to high net worth individuals and sophisticated investors. Ironically, this is contrary to the ideals of blockchain as a force for decentralization and democratization. For ordinary investors who want to invest in cryptocurrencies, they face issues such as complexity, fragmentation, lack of quality market intelligence, and security risks. With Coinvest Labs, Mary will be able to execute all of the above in one trade, for one fee ($4.99) and manage only one wallet. From there, spend COIN directly from their wallet without having to convert it back to fiat currencies (using our built-in debit card support). The Coinvest Labs ecosystem of products and services will interact and complement each other to provide a comprehensive end-to-end investment experience for our consumers. At the core of its product portfolio is the Coinvest Labs protocol; A blockchain protocol defining investment transactions between users and the Coinvest Labs smart contracts. User invested funds will be held in smart contracts while investment data is written to the blockchain, removing all third-parties from the investment process. The COIN protocol will enable developers to build their own DAPP and become their own broker to help increase the adoption of COIN. Coinvest Trade is a wallet and decentralized software application (DAPP), or front-end interface to the COIN protocol. The Coinvest DAPP will empower anyone to invest in individual or a curated index of cryptonized assets using only one wallet and one COIN. Users will create virtual portfolios and trade their favorite cryptocurrencies using market buy, limit buy, sell, and short orders. Investing starts when an investor begins their research. Not once a trade is placed. At Coinvest Labs, we aim to be a single destination for investing in cryptocurrencies. CoinDNA is a place for blockchain enthusiasts to consume a combination of Data, News, and Analytics on a daily basis. Using content and insight, CoinDNA builds trust and confidence with investors which aids in conversion to the Coinvest Trade platform. Filed as a MSB with the US FinCEN and provided notice to the US SEC on its offerings. Prior to starting Coinvest Labs, Damon Nam was a sixteen year IT services professional at Microsoft. During his tenure, he assumed three different management roles within the Microsoft Services organization. In his last role as a US Services Partner Program Director, he was responsible for driving and managing the Preferred Services Partner program for the US; a program with approximately seventy-five partner organizations and a total book of business of over $90 million in revenue. Damon is responsible for architecting and executing the strategy to drive the overall mission for Coinvest Labs. 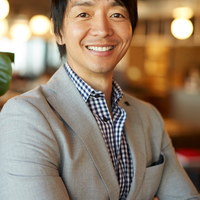 Kevin Huynh has built a career in data analytics, most recently graduating from Carnegie Mellon University with a Masters in Business Intelligence and Data Analytics and managing digital marketing for Hotels.com. Prior to that he consulted as a Senior Data Modeler for many top Fortune 500 companies, including McKesson, Kimberly-Clark and Rubbermaid. Kevin is responsible for Coinvest Labs analytics and operations strategy. Byron Levels has 23 years of experience as an IT services professional with a wide range of expertise in developing solutions to help businesses succeed. Byron has worked for many Fortune 500 companies including Microsoft, AT&T, and American Airlines. Byron is an architect and application developer with a strong focus on e-commerce and business application integration. Byron is responsible for driving the architecture, implementation, and support for all technology needs for Coinvest Labs. Tony Scott and Pete Cashmore are respected leaders within their industries and offer significant value beyond marketing purposes. Coinvest Labs is here for the long-term. Our team has worked very hard to carefully engage advisors that can help us grow and scale our business versus offer only promotional value. Tony Scott was the third U.S. Federal Chief Information Officer, serving from 2015–2017. Scott’s 40 year career in information technology includes roles as Chief Information Officer of VMware, Microsoft and The Walt Disney Company. Scott also serves as a research director at the Blockchain Research Institute, a global knowledge network. Coinvest Labs will be able to leverage Scott’s vision and expertise to help the company with IT management, operations, and security. Scott also advises for other companies within the blockchain industry such as Cobinhood and Continuum, and his network is a resource for Coinvest Labs as well. Pete Cashmore is the founder of the leading tech publication, Mashable. Cashmore has grown Mashable from a blog project to a global tech-focused media company boasting 42 million monthly unique visitors and 21 million social media followers. 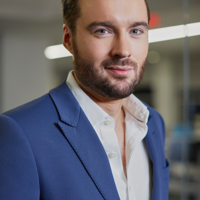 Cashmore was named one of Time Magazine’s 100 Most Influential People in 2012, featured on Forbes 30 under 30 list, and was named a Young Global Leader by The World Economic Forum in 2011. Under Cashmore’s leadership, Mashable has been on the forefront of this transition and a pioneer in the digital content creation and advertising space. Coinvest Labs will be able to leverage Cashmore’s vision and expertise to help the company build a platform focused on community with insights to growth scaling and media. We are honored to have his insight, experience, and vision in the areas of media and emerging technology to aid our company. In the video below we had a chance to sit down with Pete to learn his thoughts on the current and future state of the blockchain industry. 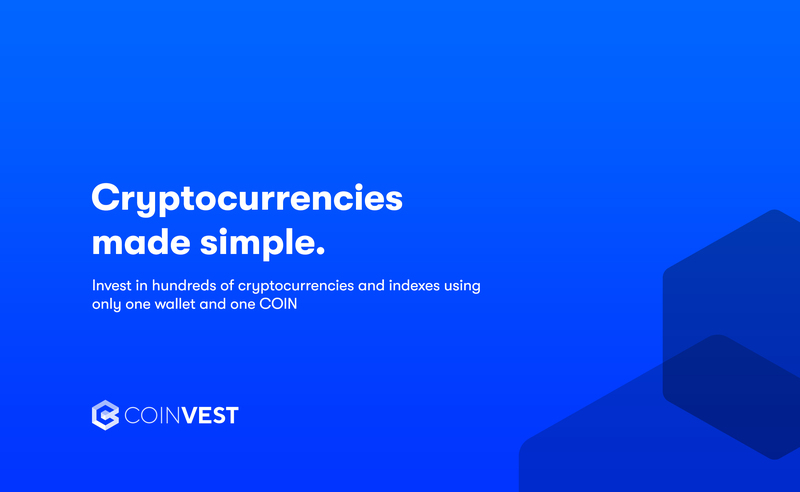 The smallest investment amount that Coinvest is accepting. Coinvest needs to reach their minimum funding goal before the deadline. If they don’t, all investments will be refunded. The amount of time Coinvest has to pay out your investment in tokens. If the DPA isn't repaid with tokens after that time, it will be payable in cash with interest. Coinvest needs to raise $100K before the deadline. The maximum amount Coinvest is willing to raise is $1.07M. Damon is an IT professional and 16 year Microsoft alumnus, where he was a Services Program Director for the US. There he was responsible for the US Services Partner program; approx. 75 partners and a book of business of over $90 million in revenue. In 2015 Tony Scott was appointed by President Barack Obama to serve as the third Federal Chief Information Officer of the United States. 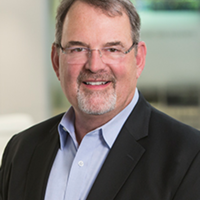 As CIO of Microsoft, Scott was responsible for all aspects of the company’s information technology organization. Pete Cashmore is the founder and CEO of Mashable, the leading source of news, information & resources for the Connected Generation. Pete was named one of Time Magazine's 100 Most Influential People in 2012. Coinvest Labs will be a single destination for users to learn, invest, and spend cryptocurrencies. The Coinvest Labs ecosystem will consist of products and services that aid users throughout the entire investment lifecycle. At the core of Coinvest Labs product portfolio, the Coinvest Trade platform will enable users to invest in hundreds of different cryptonized assets and indexes using only one wallet and one coin. The Coinvest Labs investment process will be managed by smart contracts which will be the custodian of the network. User invested funds will be held by the smart contract until withdrawn by the user. Third-parties, including Coinvest Labs, will NOT have access to these funds, including the reserve pool that collateralize and back all investments traded in the network. Once an asset is sold from a user’s portfolio, COIN will be returned to a user's wallet and can be spent directly using our built-in debit card account. How Will Coinvest Labs Work? What Is The Coinvest Labs Ecosystem? The COIN token ecosystem will consist of many parties including, but not limited to, token buyers, investors, fund managers, financial institutions, partners, token sellers, etc. creating an equal exchange of buyers and sellers. It will be a community that utilizes COIN as a means of support for its members and community. What Will Be The Advantages Of Using Coinvest Labs? Investing in cryptocurrencies today is an extremely difficult and a intensive process. Exchanges require KYC authorization which can take hours (if not days) to validate. Coinvest Labs will bypass the KYC process as there is no exchange in fiat currency, assets, and as the Coinvest smart contract is the custodian of your deposited funds. Securely storing cryptonized assets is imperative but not trivial. Some coins and tokens have different standards and require different wallets. As a consumer, you have to choose between different wallet options (such as hot, cold, paper, etc.) depending on your risk appetite. Storing assets yourself is feasible for some; however, complicated and risk hacking and user-error. With Coinvest Labs, there will be no storage of investment assets as all portfolios are completely digital. Prices in cryptocurrency can be extremely volatile. Acquiring assets at the wrong price and time can be the difference in gains or losses. There are currently limited investment options that empower users to execute flexible buying options such as shorting and price limit orders. Coinvest Labs will be one of the first in the industry to offer this functionality. Unlike current exchanges, Coinvest Labs will offer index funds containing a portfolio of cryptonized assets related to components such as market capitalization, industry, etc. The index funds will enable users the ability to invest without individually and actively purchasing assets themselves. Meanwhile, providing broad market exposure, low operating expenses, and low portfolio turnover. As of March 2018, there are no investment vehicles that enable investors to curate and invest in an index of cryptonized assets created by themselves. Current investment, index, and mutual funds are managed by third-party asset managers and offer no flexibility and control of the fund itself. Personal curated index funds on Coinvest Labs will empower users to control the assets, distribution percentages, rebalances, and withdrawals of their own individual fund. Investing in cryptocurrencies require sending funds direct to an exchange or investment fund (which inherently creates centralization and high risk as they are the custodian of your funds). Coinvest Labs will not accept any funds (fiat, cryptocurrency, etc.) or payments direct from users. User funds will be held in escrow and controlled by the Coinvest Labs autonomous bot (computer code) within a smart contract in the Coinvest protocol. Users will be able to withdraw funds or close their positions at any time and obtain distributions automatically via the Coinvest Labs smart contract. The Coinvest Labs investment process will require no human involvement or interaction. All investments made through the Coinvest Labs platform will be backed by the cryptonized assets themselves. To ensure liquidity, Coinvest Labs will employ two reserves. Investments will only be executed based upon available assets in the reserve, ensuring the security of all users. A percentage of company revenue will be allocated for additional purchases to increase liquidity and scale the reserve in relation to growth. What Is The COIN Token And Its Role? The COIN token (aka COIN) is the official cryptonized network access token for Coinvest Labs and its ecosystem. COIN will be the fuel to execute trades on our platform. Additionally, our token will play a key role in executing smart contracts to ensure no third party is involved in the investment process. Lastly, also a tool that will write and retrieve investment data from the blockchain. You can find more information about the COIN token here. When and Why Was Coinvest Labs Founded? Frustrated with the complexity, fragmentation, and quality of cryptocurrency investment options available on the market, Coinvest Labs was determined to democratize cryptocurrencies by creating tools enable consumers to seamlessly, securely, and safely invest in cryptocurrencies. Coinvest Labs was founded in Summer of 2017. How Do I Add Custom Tokens to My Wallet? What Will Raised Funds Be Used For? In order to build and grow the company, it’s imperative to raise funds to support the development of the Coinvest Labs protocol, smart contracts, DAPP, and future products. An allocation of funds raised will also be used for ecosystem development including funding developers to help build tools to ensure the security and scalability of the platform. We recognize that without a robust, secure protocol and platform, there are no customers. With no customers, there is no business. Without any of these components, the firm fails in its mission. The offering enables Coinvest to grow and scale its team to complete development of its portfolio of products and create value for its future customers and token holders. We are a startup Company. While we intend to generate revenue in the future, we cannot assure you when or if we will be able to do so. Coinvest Labs is a technology development company and the research and development subsidiary of Coinvest LLC. Company revenue is obtained from its parent company and primary customer, Coinvest LLC. Coinvest Labs develops technology in the financial services sector that is used by its parent company. The core products in the parent company's portfolio include, but are not limited to, a software wallet, decentralized investment trading platform, and centralized exchange. We rely on funding from our parent company to fund our operations. We anticipate, based on our current proposed plans and assumptions relating to our operations (including the timetable of, and costs associated with, new product development) that, if the Minimum Amount is raised in this Offering, it will be sufficient to satisfy our contemplated cash requirements through approximately July 2018, assuming that we do not accelerate the development of other opportunities available to us, engage in an extraordinary transaction or otherwise face unexpected events, costs or contingencies, any of which could affect our cash requirements. We expect capital outlays and operating expenditures to increase over the next several years as we expand our infrastructure, commercial operations, and development activities to support our parent company, Coinvest LLC. This includes, but is not limited to, office space, additional employees, and operational expenses needed to support the development of features in the current product portfolio as well as future products. Our future funding requirements will depend on many factors, including but not limited to the following: _	The cost of expanding our operations; _	The financial terms and timing of any collaborations or other arrangements into which we may enter; _	The rate of progress and cost of development activities; _	The need to respond to technological changes and increased competition; _	The costs of filing, prosecuting, defending and enforcing any legal claims and our intellectual property rights; _	The cost and delays in product development that may result from changes in regulatory requirements applicable to our products; _	Lack of demand for and market acceptance of our products and technologies; and _	The success and existence of our parent company as they are our primary source of funding and revenue. We may have difficulty obtaining additional funding and we cannot assure you that additional capital will be available to us when needed, if at all, or if available, will be obtained on terms acceptable to us. If we raise additional funds by issuing additional debt securities, such debt instruments may provide for rights, preferences or privileges senior to the Securities. In addition, the terms of the debt securities issued could impose significant restrictions on our operations. If we raise additional funds through collaborations, we might be required to relinquish significant rights to our technologies or product candidates on terms that are not favorable to us. If adequate funds are not available, we may have to delay, scale back, or eliminate some of our operations or our research development and commercialization activities. Under these circumstances, if the Company is unable to acquire additional capital or is required to raise it on terms that are less satisfactory than desired, it may have a material adverse effect on our business, financial condition and results of operation. We were incorporated under the laws of Texas on June 30, 2017. Accordingly, we have a limited history upon which an evaluation of our prospects and future performance can be made. Our proposed operations are subject to all business risks associated with new enterprises. The likelihood of our creation of a viable business must be considered in light of the problems, expenses, difficulties, complications, and delays frequently encountered in connection with the inception of a business, operation in a competitive industry, and the continued development of advertising, promotions, and a corresponding client base. We anticipate that our operating expenses will increase for the near future. There can be no assurances that we will ever operate profitably. You should consider the Company's business, operations and prospects in light of the risks, expenses and challenges faced as an early-stage company. We are dependent upon key individuals and certain of the employees of our parent company. We are dependent on certain key personnel that are employed by our parent company who are not on the payroll of the Company. Our success depends on these individuals. If we are unable to retain these individuals or unable to hire, assimilate and retain such qualified personnel in the future, our business, operating results and financial condition could be materially adversely effected. There can be no assurance that we will be successful in retaining or attracting qualified personnel. The failure to succeed in these endeavors would have a material adverse effect on our ability to consummate our business plans. We have not prepared audited financial statements. There are no audited financial statements regarding the Company's capitalization or assets or liabilities on which to make your investment decision. If you feel the information provided is insufficient, you should not invest in the Company. Reputational risk, or the risk to our business from negative public opinion, is inherent in our business. Negative public opinion can result from our actual or alleged conduct in any number of activities, and actions taken by government regulators, licensing authorities or self-regulatory bodies in response to those activities. Negative public opinion can also result from media coverage, whether accurate or not, and may affect our ability to attract and retain customers and employees or expose us to litigation and regulatory action. We collect sensitive data, including intellectual property, our proprietary business information and that of our customers, affiliates and business partners, and personally identifiable information of our customers and any employees, on our network. The secure processing, maintenance and transmission of this information is critical to our operations and business strategy. Despite our security measures, our information technology and infrastructure may be vulnerable to attacks by hackers or breached due to human error, malfeasance or other disruptions. The intentional or negligent actions of employees, business associates or third parties may undermine our security measures. As a result, unauthorized parties may obtain access to our data systems and misappropriate confidential data. Any compromise of our data security may materially increase the costs we incur to protect against such breaches and could subject us to additional legal risk. Any such breach could compromise our networks and the information stored there could be accessed, publicly disclosed, lost or stolen. Any such access, disclosure or other loss of information could result in legal claims or proceedings, liability under laws that protect the privacy of personal information, and regulatory penalties, disrupt our operations and the services we provide to customers, and damage our reputation, and cause a loss of confidence in our products and services, which could adversely affect our business/operating margins, revenues and competitive position. Like others in our industry, we continue to face advanced and persistent attacks on our information infrastructure where we manage and store various proprietary information and sensitive / confidential data relating to our operations. These attacks may include sophisticated malware (viruses, worms, and other malicious software programs) and phishing emails that attack our products or otherwise exploit any security vulnerabilities. Previous attacks and fraudulent attempts have included DDOS attacks on our servers, port sniffing, email phishing and spoofing, employee impersonations and fraudulent wallet listings. A disruption, infiltration or failure of our information infrastructure systems could cause breaches of data security, loss of critical data and performance delays, which in turn could adversely affect our business. To remain competitive, we must continue to enhance and improve the functionality and features of our websites and technology infrastructure. As a result, we will need to continue to improve and expand our hosting and network infrastructure and related software capabilities. These improvements may require greater levels of spending than we have experienced in the past. Without such improvements, our operations might suffer from unanticipated system disruptions, slow application performance or unreliable service levels, any of which could negatively affect our reputation and ability to attract and retain customers and contributors. Furthermore, in order to attract and retain new customers, we are likely to incur expenses in connection with continuously updating and improving our user interface and experience. We may face significant delays in introducing new services, products and enhancements. If competitors introduce new products and services using new technologies or if new industry standards and practices emerge, our existing websites and our proprietary technology and systems may become obsolete or less competitive, and our business may be harmed. In addition, the expansion and improvement of our systems and infrastructure may require us to commit substantial financial, operational and technical resources, with no assurance that our business will improve. The Company could be negatively impacted if found to have infringed on intellectual property rights or to have committed other legal or regulatory infractions. Technology companies, including many of our and our parent company's competitors, frequently enter into litigation based on allegations of patent infringement or other violations of intellectual property rights. In addition, patent holding companies seek to monetize patents they have purchased or otherwise obtained. As the Company grows, the intellectual property rights claims against it will likely increase. The Company intends to vigorously defend infringement actions in court and before the U.S. International Trade Commission. The plaintiffs in these actions frequently seek injunctions and substantial damages. Regardless of the scope or validity of such patents or other intellectual property rights, or the merits of any claims by potential or actual litigants, the Company may have to engage in protracted litigation. If the Company is found to infringe one or more patents or other intellectual property rights, regardless of whether it can develop non-infringing technology, it may be required to pay substantial damages or royalties to a third-party, or it may be subject to a temporary or permanent injunction prohibiting the Company from marketing or selling certain products. Regardless of the merit of particular claims, litigation may be expensive, time-consuming, disruptive to the Company's operations and distracting to management. In recognition of these considerations, the Company may enter into arrangements to settle litigation. If one or more legal matters were resolved against the Company, such an outcome could result in significant compensatory, punitive or trebled monetary damages, disgorgement of revenue or profits, remedial corporate measures or injunctive relief against the Company that could adversely affect its financial condition and results of operations. In certain cases, the Company may consider the desirability of entering into licensing agreements, although no assurance can be given that such licenses can be obtained on acceptable terms or that litigation will not occur. These licenses may also significantly increase the Company's operating expenses. To protect our rights in our services and technology, we rely on a combination of copyright and trademark laws, patents, trade secrets, confidentiality agreements with employees and third parties, and protective contractual provisions. Despite our efforts to protect our proprietary rights, unauthorized parties may copy aspects of our services or technology, obtain and use information, marks, or technology that we regard as proprietary, or otherwise violate or infringe our intellectual property rights. In addition, it is possible that others could independently develop substantially equivalent intellectual property. If we do not effectively protect our intellectual property, or if others independently develop substantially equivalent intellectual property, our competitive position could be weakened. Effectively policing the unauthorized use of our services and technology is time-consuming and costly, and the steps taken by us may not prevent misappropriation of our technology or other proprietary assets. The efforts we have taken to protect our proprietary rights may not be sufficient or effective, and unauthorized parties may copy aspects of our services, use similar marks or domain names, or obtain and use information, marks, or technology that we regard as proprietary. We may have to litigate to enforce our intellectual property rights, to protect our trade secrets, or to determine the validity and scope of others proprietary rights, which are sometimes not clear or may change. Litigation can be time consuming and expensive, and the outcome can be difficult to predict. The majority of proceeds from this Offering will be placed in an escrow account until a later date (see the description of the Securities below). The net proceeds from this Offering will be used for the purposes which our management deems to be in our best interests in order to address changed circumstances or opportunities. As a result of the foregoing, our success will be substantially dependent upon our discretion and judgment with respect to application and allocation of the net proceeds of this Offering. The Company may choose to use the proceeds in a manner that you do not agree with and you will have no recourse. A use of proceeds that does not further the Company's business and goals could harm the Company and its operations and ultimately cause a Purchaser to lose all or a portion of his or her investment. The Company may extend the Offering deadline beyond what is currently stated herein. This means that your investment may continue to be held in escrow while the Company attempts to raise the Minimum Amount even after the Offering deadline stated herein is reached. Your investment will not accrue interest during this time and will simply be held until such time as (x) the new Offering deadline is reached without the Company receiving the Minimum Amount, at which time your full investment will be returned to you without interest or deduction, or (y) the Company receives the Minimum Amount, at which time a portion of the aggregate amounts raised in this Offering will be released to the Company to be used as set forth herein. Upon or shortly after release of such funds to the Company, the Securities will be issued and distributed to you. The Company has the right to limit individual Investor's commitment amount (including cancelling the investment commitment and returning funds) based on the Company's determination of a Purchaser's sophistication. The Company may prevent Purchasers from committing more than a certain amount to this Offering based on the Company's belief of the Purchaser's sophistication and ability to assume the risk of the investment. This means that your desired investment amount may be limited or lowered based solely on the Company's determination and not in line with relevant investment limits set forth by the Regulation Crowdfunding rules. This also means that other Purchasers may receive larger allocations of the Offering based solely on the Company's determination. You are not entitled, as a holder of the Securities, to vote or receive dividends or be deemed the holder of capital stock for any purpose, nor will you have any of the rights of a stockholder or member of the Company, as applicable, or any right to vote for the election of directors or upon any matter submitted at any meeting thereof, or to give or withhold consent to any Company action (other than as pursuant to the Debt Agreement) or to receive notice of meetings, or to receive subscription rights. Accordingly, no person should purchase a Security unless he or she is willing to entrust all aspects of management to the Company. Furthermore, you will not have any rights to the profits or intellectual property of the Company, and your only claim to the assets of the Company are the rights of payment as set forth in the Debt Agreement. You will not have a vote or influence on the management of the Company. Substantially all decisions with respect to the management of the Company will be made exclusively by the management of the Company. You, as a Purchaser, will have no vote on issues of Company management and will not have the right or power to take part in the management of the Company and will not be represented on the board of directors or managers of the Company. Accordingly, no person should purchase a Security unless he or she is willing to entrust all aspects of management to the Company. You may not be able to obtain all information you may want regarding the Company or our parent company, the Tokens or the parent company platform, on a timely basis or at all. It is possible that you may not be aware on a timely basis of material adverse changes that have occurred with respect to your investment. While our parent company has made efforts to use open-source development for the Tokens, this information may be highly technical by nature. As a result, the Investors may not have accurate or accessible information about their investment, the Company, the Tokens or Coinvest platform. The Securities will not be freely tradable until one year from the initial purchase date. Federal or state securities regulations may apply and each Purchaser should consult with his or her attorney. There is not now and likely will not be a public market for the Securities. Because the Securities have not been registered under the Securities Act or under the securities laws of any state or non-U.S. jurisdiction, the Securities have transfer restrictions and cannot be resold in the United States except pursuant to Rule 501 of Regulation CF. It is not currently contemplated that registration under the Securities Act or other securities laws will be affected. Limitations on the transfer of the Securities may also adversely affect the price that you might be able to obtain for the Securities in a private sale. Purchasers should be aware of the long-term nature of their investment in the Company. Each Purchaser in this Offering will be required to represent that it is purchasing the Securities for its own account and not with a view to resale or distribution thereof. If the Securities are paid back in Tokens, it is unclear whether or not these Tokens will be freely tradable or convertible to fiat currency. Given the regulatory uncertainty surrounding the cryptocurrency and token industry, any Tokens used to fulfill the Company's debt obligations of the Securities may be considered securities with substantially limited or no liquidity, and not freely tradeable on the open market. Further, new regulations may make it more difficult to acquire and/or use Tokens. Regulatory actions may limit the ability of end-users to convert Tokens into fiat currency (e.g., U.S. Dollars) or use Tokens to pay for goods and services. Such regulatory actions or policies would negatively affect our business and decrease the value of the Securities. Therefore, if the Company pays back debt obligations of the Securities with Tokens, instead of cash, this may prove to be an illiquid and potentially worthless repayment method. The term of this debt instrument and all the rights to receive Tokens from it, will expire at three years. If the Company is not able to acquire Tokens from our parent company within three years of the issuance of the debt instrument, it will pay Investors back with all remaining cash on hand, with interest due pursuant to the terms of the Debt Agreement. There may be no cash available in the escrow account, if such funds have been subject to a Capital Call (as hereinafter defined) by the Company previously, or any cash on hand at the Company to repay Investors. There is no guarantee that the Security will be paid back in Tokens. If the Company cannot acquire Tokens to repay Investors in Tokens, the only means to pay back the debt is in cash. As Tokens may be considered securities, there may exist regulatory risks that prevent the acquisition or distribution of Tokens. There is a risk that regulators may deem Tokens securities, therefore substantially limiting their liquidity and the Company's ability to fulfill the terms of the Debt Agreement with them. One or more countries may take regulatory actions in the future that severely restricts the right to acquire, own, hold, sell or use Tokens or to exchange Tokens for fiat currency. Such an action may also result in the restriction of ownership, holding or trading in the Securities. Such a restriction could result in the termination and liquidation of the Company or our parent company at a time that is disadvantageous to Purchasers, or may adversely affect an investment in the Company. The price of the Tokens may be set arbitrarily by our parent company; no guarantee of return on Investment. This means that the value of the Securities relative to the cost of Tokens cannot be determined or guaranteed. There is no assurance that a Purchaser will realize a return on its investment or that it will not lose its entire investment. For this reason, each Purchaser should read the Form C and all Exhibits carefully and should consult with its own attorney and business advisor prior to making any investment decision. Purchasers who are not interested in a cash repayment should make serious considerations regarding their desire to purchase this Security, as Tokens may never be available to you, meaning that a cash return may be your only option. In the event regulatory concerns or any other unforeseen event prevents the ultimate distribution of Tokens, the only assets by which the debt instrument utilized in this Offering can be paid back with is cash, pursuant to the terms and conditions in the Debt Agreement. This means you should only enter this offering if you are willing to accept a return of investment by the Company in the cash assets it may have at the time of repayment. The Security being offered has features which allow Purchasers to redeem it for partial repayment or their original principal amount. Purchasers should be aware that (i) the Company may not be obligated to return 100% of the principal; and (ii) there can be no guarantee there will be sufficient assets on hand to return such funds. You must provide a valid network address and other information for Token distribution or forfeit ability to receive Tokens. In the event the Company elects or is required under the terms of the Securities to make a repayment of the Debt Agreement (in part or in full) in Tokens, and you fail to provide the Company within fifteen (15) calendar days of notice by the Company, a network address and other information necessary to facilitate a distribution of digital blockchain tokens, the Company may in its discretion, effectuate such repayment in cash and without any interest, without any further obligations. You are responsible for the accuracy of information provided. Providing inaccurate digital keys or public addresses or any other inaccurate information for purposes of Token transfer often results in irreversible loss, which each Investor agrees to be solely liable for, and the Company is deemed to have fully repaid its obligations to such Investor with no further obligations. Investors' ability to redeem the Security we are issuing for cash prior to the maturity date may not provide a full return of capital and may cause the insolvency of the Company. The Security being offered has features which allow each Investor to redeem it prior to the second anniversary of the issuance date of the Security for partial repayment of approximately seventy-five (75) percent of the net proceeds to the Company (after the payment of Intermediary expenses) from the Investor's Subscription (the 'Early Redemption Right'). Investors should be aware that (i) the Company is not obligated to return one-hundred (100) percent of principal in the event that the Investor chooses to exercise his Early Repayment Right; (ii) there can be no guarantee there will be sufficient assets on hand to return funds despite the use of an escrow account to secure approximately seventy-five (75) percent of the net proceeds of this Offering and (iii) in the event that the Company requests a Capital Call that an Investor chooses not to opt out of, the Early Repayment Right will be extinguished. If a significant number of Investors request such redemptions (which may or may not include you) and the Company does not have the adequate amount of cash on hand, the company will be unable to pay such claims and may be forced to refinance, raise additional capital or become insolvent and seek bankruptcy proceedings, in which case you may lose all of your investment. The Company has the right to call for the capital held in escrow between the first and second year anniversary of the closing of the Offering. This may ultimately result in an accelerated loss in your capital, should you choose to not recall your funds held in escrow before the Company's Capital Call comes into effect. If the escrow is released to the Company, this may result in the use of the cash by the Company and the likelihood of your repayment in cash could be greatly reduced. The terms of this debt instrument may hamper the Company's ability to use cash due to the use of an escrow account which will reduce the free cash available to the Company. The Security being offered has a feature which requires the Company to retain seventy-five (75) percent of the net proceeds to the Company of this Offering in an escrow account monitored by Republic. As a substantial amount of the monies raised in this Offering will not be useable by the Company, whether as a surety for other debt or for payments, this term may hurt the Company's operations. As Investors have right to request a return of seventy-five (75) percent of the net proceeds to the Company from the Investor's Subscription, the value of this escrow account may decrease over time. The Company will have the ability to request the release of all funds in the escrow account, after the first anniversary of the issuance of this Security but before the second anniversary of said issuance (the 'Capital Call'). However, the Investors will have the ability to opt-out of the Capital Call, resulting in the Company receiving either a substantially reduced amount of capital from the escrow account or none at all, possibly leading to the Company's insolvency or the need to raise more funds. The provisions in the Securities will not necessarily afford you protection in the event of a transaction that may adversely affect you, including a reorganization, restructuring, merger or other similar transaction involving us. These transactions may not involve a 'liquidation event' or 'change of control' which would trigger these protective provisions. Except in certain circumstances, the Securities will not permit the holders of the Securities to require us to repurchase the Securities in the event of a takeover, recapitalization or similar transaction. Upon the occurrence of events constituting a liquidation event or change of control, you will have a right to your pro rata share of any funds remaining in the escrow account and not previously repaid pursuant to the Early Redemption Right. We may not have sufficient funds remaining in the escrow account or the ability to arrange necessary financing on acceptable terms. In addition, our ability to repay the Securities for cash may be limited by law or the terms of other agreements relating to our indebtedness outstanding at the time. If we are unable to repay the Investors pursuant to our obligations under the Securities, the Investors will become general unsecured creditors of the Company, without priority, security or perfection. Our ability to generate sufficient cash flow from operations to repay the Securities in cash will depend on our future financial performance, which will be affected by a range of economic, competitive, and business factors, many of which are outside of our control. The Company will be in default if it is unable to pay interest or principal when due, which could force us to discontinue our business. If we do not generate sufficient cash flow from operations or the operations of our parent company, we may have to undertake alternative financing plans, such as refinancing or restructuring our debt, selling assets, reducing or delaying capital investments, or seeking to raise additional capital. We cannot assure you that any refinancing would be possible, that any assets could be sold, or, if sold, of the timing of the sales and the amount of proceeds realized from those sales, or that additional financing could be obtained on acceptable terms, if at all, or would be permitted under the terms of the agreements governing our indebtedness then outstanding. Our inability to generate sufficient cash flow to satisfy our obligations under the Debt Agreement would severely negatively impact your investment in the Securities. In the event the Company is unable to generate sufficient cash flow, there is a large risk that the Company could default on the Debt Agreement and be unable to repay the Securities, in either cash or Tokens. Due to the fees associated with this Offering, at its conclusion, assuming it is successful, the Company will already have less assets than necessary to repay all Securities in full in cash. Investors do not have the protections associated with ownership of shares in an investment company registered under the Investment Company Act or the protections afforded by the Commodities Exchange Act of 1936, as amended (the 'CEA'). Coinvest Labs is not registered as an investment company under the Investment Company Act and the Company does not believe it is required to register under such act. Consequently, the Investors do not have the regulatory protections provided to Investors in investment companies, such as: the issuance of securities having inequitable or discriminatory provisions; the management of investment companies by irresponsible persons; the use of unsound or misleading methods of computing earnings and asset value; changes in the character of investment companies without the consent of Investors; and investment companies from engaging in excessive leveraging. The Company will not hold or trade in commodity futures contracts regulated by the CEA, as administered by the CFTC. Furthermore, the Company does not believe it is a commodity pool for purposes of the CEA, or that it is subject to regulation by the CFTC as a commodity pool operator or a commodity trading advisor in connection with the operation of the Company. Consequently, the Investors will not have the regulatory protections provided to Investors in CEA-regulated instruments or commodity pools. The Company may be forced to cease operations or take actions that result in a dissolution event. It is possible that, due to any number of reasons, the Company may no longer be viable to operate and the Company may dissolve or take actions that result in a liquidation or dissolution event. The United States tax rules apply to an investment in the Securities and in the event the Security is repaid in Tokens, the United States tax rules are uncertain and the tax consequences to an Investor of an investment in the Securities could differ from the Investor's expectations. The tax rules applicable to the Securities, specifically if the Security is repaid using Tokens instead of cash, are complex, and no statutory, judicial, or administrative authority directly addresses the characterization of an investment in the Company's Securities. The tax consequences to a Purchaser of the Securities could differ from the Purchaser's expectations. Purchasers should consult their own tax advisors. The Coinvest platform may not be widely adopted and may have limited users. It is possible that the Coinvest platform may not be used by a large number of users. Such a lack of use or interest could negatively impact the development of the Coinvest platform and therefore the potential utility of the Tokens. The Company may not successfully market or complete the development of Tokens and Investors may not receive Tokens. The Coinvest platform has not yet been fully developed by our parent company and may require additional capital funding, expertise of the parent company's management, time and effort in order to develop and successfully launch. Changes may have to be made to the specifications of the Coinvest platform or Tokens for any number of legitimate reasons or the Company and our parent company may be unable to develop the network in a way that realizes those specifications or any form of a functioning network. It is possible that Tokens and the network may not ever be released and there may never be an operational platform for the Token or that the launch of the Coinvest platform will not occur or meet the expectations of users, investors and the general public. Furthermore, despite good faith efforts to develop and launch and subsequently develop and maintain the network, it is still possible that the Coinvest platform will experience malfunctions or otherwise fail to be adequately developed or maintained, which may negatively impact the platform and the Tokens. The Tokens have no operating history. As the Securities are repayable in Tokens, Purchasers should be aware that that the assessment of the Company, its parent company or any third party of the prospects of the Coinvest platform may not prove accurate, and that the Company will not achieve its objectives. Lack of a market valuation of the Tokens. Because no public market exists for the Tokens, the repayment by Tokens is established on an arbitrary basis. As a result, the actual value of a repayment in Tokens may be substantially less than the amount borrowed by the Company in this Offering. Our parent company relies heavily on technology, which can be subject to interruption and instability due to operational and technological failures, both internal and external. Our parent company relies on technology, particularly the Internet and mobile services, to conduct much of its business activity and allow its Investors to conduct financial transactions. These systems and operations are vulnerable to disruptions from human error, natural disasters, power outages, computer and telecommunications failures, software bugs, computer viruses or other malicious software, distributed denial of service attacks, spam attacks, security breaches and other similar events. In addition, extraordinary trading volumes or site usage could cause our parent company's computer systems to operate at an unacceptably slow speed or even fail. Disruptions to, instability of, or other failure to effectively maintain information technology systems or external technology that allows our parent company's customers to use its products and services could harm our parent company's business and reputation. Should the technology operations be disrupted, our parent company may have to make significant investments to upgrade, repair or replace its technology infrastructure. While our parent company has made significant investments designed to enhance the reliability and scalability of its operations, it cannot assure that it will be able to maintain, expand and upgrade its systems and infrastructure to meet future requirements and mitigate future risks on a timely basis or that it will be able to retain skilled information technology employees. Disruptions in service and slower system response times could result in substantial losses, decreased client service and satisfaction, customer attrition and harm to our parent company's reputation. In addition, technology systems, including our parent company's own proprietary systems and the systems of third parties on whom it relies to conduct portions of its operations, are potentially vulnerable to security breaches and unauthorized usage. An actual or perceived breach of the security of our parent company's technology could harm its business and reputation. Further, any actual or perceived breach or cybersecurity attack directed at other financial institutions or financial services companies, whether or not our parent company is impacted, could lead to a general loss of customer confidence in the use of technology to conduct transactions, which could negatively impact us, as the research and development affiliate of the parent company, and the value of the Tokens, including the market perception of the effectiveness of our security measures and technology infrastructure. The occurrence of any of these events may have a material adverse effect on our business or results of operations, or the value of the Tokens. The Coinvest platform may be the target of malicious cyberattacks or may contain exploitable flaws in its underlying code, which may result in security breaches and the loss or theft of Tokens. If the Coinvest platform's security is compromised or if the Coinvest platform is subjected to attacks that frustrate or thwart its users' ability to access the Coinvest platform, Tokens or the network products and services, the utilization of the Tokens could be seriously curtailed and cause a decline in the future market price of the Tokens. 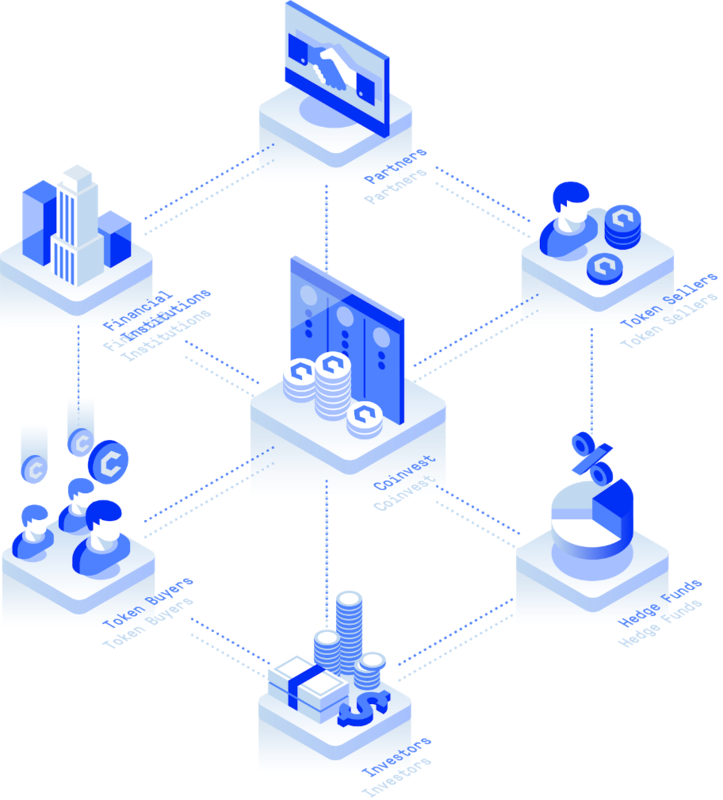 Coinvest's platform, structural foundation, protocol, software applications and other interfaces or applications built upon the Coinvest platform are still in an early development stage and are unproven, and there can be no assurances that the Coinvest platform and the creation, transfer or storage of the Tokens will be uninterrupted or fully secure which may result in a complete loss of users' Tokens or an unwillingness of users to access, adopt and utilize the network. Further, the Coinvest platform may also be the target of malicious attacks seeking to identify and exploit weaknesses in the software or the network which may result in the loss or theft of Tokens. For example, if Coinvest and the Coinvest platform are subject to unknown and known security attacks (such as double-spend attacks, 51% attacks, or other malicious attacks), this may materially and adversely affect the Coinvest platform. In any such event, if the platform launch does not occur or if the Coinvest platform is not widely adopted, any Tokens that are used to repay the Securities may be worthless. Regulation of cryptocurrencies in the United States and in foreign jurisdictions is in its early stages of development and subject to changes which may have an adverse impact on our parent company's ability to distribute Tokens. The regulatory status of cryptocurrencies and similar crypto assets, as well as the regulatory status of funds that invest in cryptocurrencies like the Tokens that may be used to repay the Securities, is unclear or unsettled in many jurisdictions. Legislative and regulatory changes or actions at the state, federal, foreign or international level may adversely affect the use, transfer, exchange, and value of cryptocurrencies. It is difficult to predict how or whether regulatory agencies may apply existing or new regulation with respect to such technology and its applications, including the use of cryptocurrencies as an asset class in which to invest. It is also difficult to predict how or whether legislatures or regulatory agencies may implement changes to laws and regulations affecting the distribution of tokens. Cryptocurrency regulation is in its infancy and future regulatory change is unpredictable. As cryptocurrencies have grown in popularity and market size, the U.S. Congress and a number of U.S. federal and state agencies have begun to develop regulations governing the cryptocurrency industry. Regulators are concerned such a large unregulated person to person global economy could potentially enable criminals to evade taxes and launder money. To the extent that future regulatory actions or policies limit the ability to exchange cryptocurrencies or utilize them for payments, the demand for cryptocurrencies may be reduced. Furthermore, regulatory actions may limit the ability of end-users to convert cryptocurrencies into fiat currency (e.g., U.S. dollars) or use cryptocurrencies to pay for goods and services. Such regulatory actions or policies could result in a reduction of demand, and in turn, a decline in the per unit price of cryptocurrencies. Various foreign jurisdictions may adopt laws, regulations or directives that affect cryptocurrencies, and their users. Such laws, regulations or directives may conflict with those of the United States and may negatively impact the acceptance of cryptocurrencies by users, merchants and service providers outside the United States and may therefore impede the growth or sustainability of the Cryptocurrency economy in the European Union, China, Japan, Russia and the United States and globally, or otherwise negatively affect the value of cryptocurrencies. For example, on October 10, 2017, Russia's President Vladimir Putin denounced the Cryptocurrencies as risky and used by criminals, and Russia's central bank stated that it would support regulation of the Cryptocurrencies. South Korea announced the ban of all initial coin offerings on October 2, 2017 citing consumer fraud as one reason. On September 4, 2017, China's central bank banned initial coin offerings and subsequently, banned all Cryptocurrency exchanges from operating within the country. The effect of any future regulatory change on distributed ledger technology and its applications, including Cryptocurrencies in general is impossible to predict, but any such change could be substantial and adverse to the Tokens that may be used to repay the Securities. If the Securities are paid back in Tokens, Purchasers should be aware that Tokens have risks which may adversely affect their value. Instability in the Token exchange market and the closure or temporary shutdown of Token exchanges due to fraud, business failure, hackers, malware, or government-mandated regulation may reduce confidence in the Token exchange market and result in greater volatility in Token prices. Purchasers should consult with their attorney as to whether the Tokens can be legally traded when received. Our parent company may use other methods of distributing the Tokens that might allow other investors to purchase or receive Tokens on better terms than you receive under the Debt Agreement or that might dilute the value of the Tokens received in as repayment for the Securities. The parent company may distribute the Tokens through the following mechanisms, each of which could result in both a decrease in the value of the Tokens received by Investors as repayment for Securities and in comparison to certain purchasers and other recipients purchasing the Tokens on more advantageous terms: _	Direct Sales. The parent company may sell Tokens through offerings compliant with applicable securities laws _	Compensation to Employees. The parent company anticipates providing the Tokens as a form of bonus or compensation to employees of Coinvest or Coinvest Labs, either for free or for a reduced price. _	Giveaways. To encourage use and development of the network, the parent company may provide Tokens as rewards to users of the network for certain activities; the parent company may provide Tokens as rewards in circumstances where it believes the Tokens will not be treated as securities. Some of these sales and distributions of the Tokens by the parent company may occur at a substantial discount to the amount of Tokens received by Investors as repayment for the Securities and/or may result in other terms that are more advantageous to other Investors and recipients. Regulatory changes or actions may adversely affect the repayment of the DPAs with Tokens. As cryptocurrencies have grown in both popularity and market size, the U.S. Congress and a number of U.S. federal and state agencies (including FinCEN, SEC, CFTC, FINRA, CFPB, the Department of Justice, the Department of Homeland Security, the Federal Bureau of Investigation, the IRS, and state financial institution regulators) have begun to examine the operations of the cryptocurrency networks, users and exchanges. On-going and future regulatory actions may alter, perhaps to a materially adverse extent, the nature of an investment in the Securities repayable by Tokens. Many of these agencies, including the SEC, CFPB, FINRA, the Federal Trade Commission ('FTC') and state financial regulatory agencies, including those of Washington, Wisconsin, North Carolina, Nevada, Massachusetts, Michigan, New Hampshire, Alabama, Maryland, Maine, New Mexico, California, Florida and Hawaii, have issued consumer advisories regarding the risks posed by digital currencies. In March 2013 guidance, FinCEN took the position that any administrator or exchanger of convertible virtual currencies must register with FinCEN as a money transmitter and must comply with the anti-money laundering regulations applicable to money transmitters. FinCEN subsequently issued several interpretive letters clarifying which entities would be considered administrators or exchangers and which would be considered mere 'users' not subject to registration. The requirement that exchangers that do business in the U.S. register with FinCEN and comply with anti-money laundering regulations may increase the cost of buying and selling virtual currencies and therefore may adversely affect their price. On June 3, 2015, New York State Department of Financial Services ('NYDFS') issued its comprehensive regulatory scheme for digital currency businesses, called the 'BitLicense.' The BitLicense scheme requires most businesses involved in digital currency transactions in or involving New York, excluding merchants and consumers, to apply for a license from the NYDFS and to comply with anti-money laundering, cyber security, consumer protection, and financial and reporting requirements, among others. Other states have considered similar regimes (for example, a bill in California would have imposed a similar regime, although the bill was shelved), or have required virtual currency businesses to register with their states as money transmitters, which results in virtual currency businesses being subject to requirements similar to those of NYDFS's BitLicense regime. Certain state regulators, such as the Texas Department of Banking and Kansas Office of the State Bank Commissioner, have found that bitcoins do not constitute money, and that mere transmission of bitcoin does not constitute money transmission requiring licensure. The North Carolina Commissioner of Banks has issued guidance providing that North Carolina's money transmission regulations only apply to the transmission of virtual currency and not its use. On June 28, 2014, the Governor of the State of California signed into law a bill that removed state-level prohibitions on the use of alternative forms of currency or value. The bill indirectly authorizes the use of bitcoins as an alternative form of money in the state. The inconsistency in applying money transmitting licensure requirements to certain virtual currency businesses may make it more difficult for virtual currency businesses to provide services, which may affect consumer adoption of virtual currencies and their prices. To date, the SEC has not asserted regulatory authority over cryptocurrency networks or cryptocurrency trading or ownership and has not expressed the view that all cryptocurrencies should be classified or treated as securities for purposes of U.S. federal securities laws. The effect of any future regulatory change on cryptocurrencies is impossible to predict, but such change could be substantial and adverse to the Company, the parent company and the parent company's Tokens used to repay the Securities. The United States tax rules applicable to the Tokens and cryptocurrencies generally are uncertain and the tax consequences to an Investor who receives Tokens as repayment for the Securities could differ from the Investor's expectations. The tax rules applicable to the Tokens and the cryptocurrencies given to the Company are complex, and no statutory, judicial, or administrative authority directly addresses the characterization of an investment in cryptocurrencies. The tax consequences to a Purchaser of the Securities who receives repayment in Tokens could differ from the Purchaser's expectations. Purchasers should consult their own tax advisors. Neither the Company nor counsel to the Company will render any tax opinion or advice with respect to the Offering of the Securities. Accordingly, each Investor should discuss the tax considerations of an investment in the Securities and the potential repayment of the Securities with Tokens as it relates to him or her with his or her own tax advisor. Regulatory risks associated with the issuer's operation, with the potential treatment of digital assets as securities, and with unforeseen legal restrictions on debt repayments using digital assets is a novel legal construct. The Offering is an offering of debt securities by a non-investment service company under Regulation Crowdfunding. However, there is a regulatory risk associated with (i) the offering registration and exemption eligibility; (ii) redistribution of any assets that constitute securities; (iii) any activities that are deemed investment activities, investment advisory activities, and/or brokering or dealing activities by the issuer. Operating and legal expenses incurred by the Company to address, challenge and resolve any unfavorable regulatory position may be substantial and may result in the Company's insolvency. Digital tokens and currencies may meet the definition of securities under US securities law depending on specific facts pertaining to the relevant blockchain project and token uses. There is a risk that the Tokens useable to repay the debt obligations under the terms of the Offering constitutes securities, in which case the Company and its affiliates and partners may be restricted or even prohibited from delivering or facilitating the relevant token repayments. Investors should carefully consult regulatory guidelines on cryptocurrencies and crypto investing prior to participating in this Offering. In addition to the risks listed above, businesses are often subject to risks not foreseen or fully appreciated by the management. It is not possible to foresee all risks that may affect us. Moreover, the Company cannot predict whether the Company will successfully effectuate the Company's current business plan. Each prospective Purchaser is encouraged to carefully analyze the risks and merits of an investment in the Securities and should take into consideration when making such analysis, among other, the Risk Factors discussed above. I'm very interested in crypto and this seems like a great solution to many of the issues that it is currently facing. invested because this is like the angel investor of crypto. Speculative investment based on my belief that Coinvest will grow to rival Coinbase & Gemini in the next 3-4 years. I think that this platform will serve a lot of people well and I am looking forward to using it. I invested because I trust Jeff Brown's advice. He's made me money before and I believe he will again. The concept behind Coinvest makes sense, a good application of smart contracts. Exponential tech investor publication recommended investing in it. Solving a huge gap in user friendliness, no more sending Eth or btc to other exchanges, what Coinbase should be, but they are not, Coinvest will. Also shorting possibilities ! Look forward to watching this happen! recommendation from another person. liked the platform. An easier way for more people to invest and trade in digital currencies. I'd like to see someone give Coinbase a run for its money. This is the future - get on board! I invested because I think this exchange is going to meet a long felt need of a simpler system in investing in cryptocurrency. I also think it will grow in value over time. I believe in the viability and future of concept and execution of coinvest. I invest to Coinvest as I see it has a great business feasibility. I have been investing in crypto-currencies and find the process, both time consuming and cumbersome (not to mention costly on higher value trades). I am in hopes that this service will solve one or more of these issues. My brooker highly suggested this and I trust him. It's a way to invest in blockchain technology, not just an ICO. The Blockchain technology concept and future ability to speed up various financial transactions in the future is noteworthy and a game changer. Recommendation from an investment subscription. because of a recommendation in a cryptocurrency newsletter I subscribe to and I particularly like this kind of secured contracts application of blockchain technology. I believe in the blockchain concept as an underlying protocol for everyday transactions in the future. There are some hurdles to overcome before that and this project is a key step in doing that. great platform! can't wait to use it. A user-friendly and regulatory compliant investment platform with a decentralized exchange and the ability to execute smart contracts on the blockchain. I've been investing in cryptocurrencies for the past nine months and believe what Coininvest is creating will make this easier for me. I also believe it will help make the cryptocurrency markets more accessible to a larger group of investors. I invested because I believe this platform fills a void that's desperately needed. Frankly, I listened to my adviser based on my trust in him and strong gut feeling in the coming revolution of crypto and blockchain technology. I believe that this will solve some problem points that exist in the cryptocurrency industry currently. I like the idea of a one-stop system for crypto currencies. I invested because I believe in the purpose for which this project was created and the high quality of work behind it. It was recommended by Bonner & Partners Exponential Tech Investor. It sounds like you are addressing some badly needed things. Coinbase platform improvements (smart contracts) much needed. I believe in this new technology and further believe it will help change the way we do business..
A family member familiar with blockchain/cryptocurrencies recommended Coininvest. I want to support the development and adoption of smart contracts within a straightforward to use quality market environment. This is really needed for the crypto trading world. It seems a good investment. I can totally see myself using the kind of platform the Coinvest team envisions. I invested because I have found the existing platforms for cryptocurrency buy/sells very cumbersome and expensive. When (not if) your protocol goes live, your platform will make this asset class much more accessible and more secure. i believe that this a good investment since i can invest in any amount. i believe cryptocurrencies is the wave of the future. Looking for a speculative, asymmetric return. I was initially fearful of blockchain currency but the technology can not be denied as the pivotal tipping point in the next technological revolution. The technology is limitless. I invested 5K in Coinvest and will follow/invest in future ICO's. I believe in future that would be well suited for Coinvest. It sounds like the protocol here will be groundbreaking and badly needed in the future. I plan on using it to my best ability! I have invested because the expected ease of use is exciting. I believe my investment with Coinvest will be BIG or (EVEN BIGGER) than the CoinBase platform in the near future. I believe in technological advancements coming via blockchain. Jeff Brown recommendation. I invested because what is being developed is a single, easy platform to buy, store, trade and sell cryptocurrencies. The Coinvest project sounds like it has a great future! Ambitious but achievable. Very good premise, business model. Recommendation from Jeff Brown in his newsletter, Exponential Tech Investor. Invested primarily because this will simplify the buying process for the masses and institutions and that the project is backed by reliable advisors and team members. I invested because Coinvest will be the easiest platform to use to date. The potential returns are great and the product is revolutionary. Great investing platform which solves difficulties in crypto purchase and storage of assets! Will be just like stock brokerage account!! Coinvest looks attractive. To get familiar with the CrowdFund process. Because Coinvest solves multiple problems in the cryptocurrency investment platform that will make crypto investing more efficient like a standard stock brokerage account. I invested in order to participate in a crowdfunding experience and to enjoy some success with the underlying crypto innovation. I want to be a part of the coming DLT revolution! I believe in the technology, and this platform has a great interface that I think has the ability to be a "game changer". Buying and selling cryptocurrencies and alt-coins is too complicated and laborious in the present environment. I think streamlining the process for acquiring different cryptos is beneficial. Especially reducing the friction in acquiring altcoins. I invested $1000 because believe your platform will be the next CoinBase. There is a pressing need for an simple interface that allows transactions for many cryptocurrencies with a nominal fee structure. The Crypto Exchanges are so ridiculously complicated and inefficient. We need an all-in-one exchange to get more people into crypto! A unique crypto trading platform that combines traditional trading with smart contract eliminating troubles transferring funds between storage and exchange. It is also solving problem of converting between cryptos and fiat. Building a portfolio of crypto assets. Coinvest made the short-list. Looking forward to seeing how the project develops. 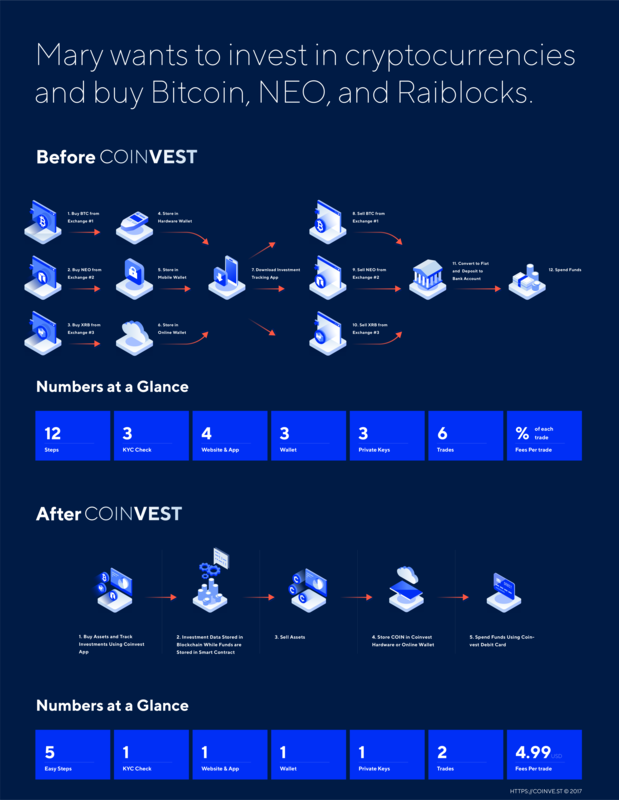 Coinvest is the "all in one" package. You can buy/sell, implement secure storage of tokens, and eventually spend them anytime on a platform that facilitates simplicity. This is my "dream" COIN (pun intended)!! Coinvest is creating an important tool. Coinvest is a must to get the crypto industry mainstream by simplifying the process of acquiring cryptocurrencies or tokens. I think it is right time all the big banks get decentralized as they rigging the markets all the time. what interested me most was Coinvest’s trading fees are nominal – only $4.99 for any order in a portfolio.. It a platform similar to what Charles Schwab did for trading securities that revolutionized discount brokers.